For two decades, these authors have collected data about approximately 100,000 pre- and early adolescents referred to the South Carolina Department of Juvenile Justice, and a control group of 100,000 non-delinquents of similar gender, ethnic composition, and birth year. This summary announces three factors associated with criminal justice system recidivism. First, prosecution of youth for less serious crimes tends to be associated with higher likelihood of additional offenses, especially when the youth shows limited pre-offense problem behavior. In more serious cases, failure to prosecute is more often associated with re-offending. Second, preventing the first offense is critical and requires interventions that support the parents and family. Intervention is important during the preschool period, when disruptive behaviors often related to mental health problems and child maltreatment can be clearly noted. Third, school-based interventions focused on changeable risk factors (e.g., low skills, substance misuse, defiant behavior) are critical. Targeting high-risk individuals early can result in high savings. Diverting a 14-year-old high-risk juvenile from repeated crimes can result in savings between $2.6 and $5.3 million over their lifetime and prevent consigning a young person to the revolving doors of the justice system. HIV FROM SILVERWARE? FORK NO! In 1983, the Centers for Disease Control and Prevention identified the main ways that HIV is transmitted, as well as ways that it is not, publishing this information in the Morbidity and Mortality Weekly Report. Even though this information has been widely available for over three decades, misperceptions about HIV transmission persist. The Kaiser Family Foundation National Survey of Young Adults on HIV/AIDS included results from nearly 1,800 people between the ages of 18 and 30 years. Interviews were in English and completed either online or by telephone. The graphic shows young Americans’ answers. A large number of respondents did not know how one becomes infected with HIV. 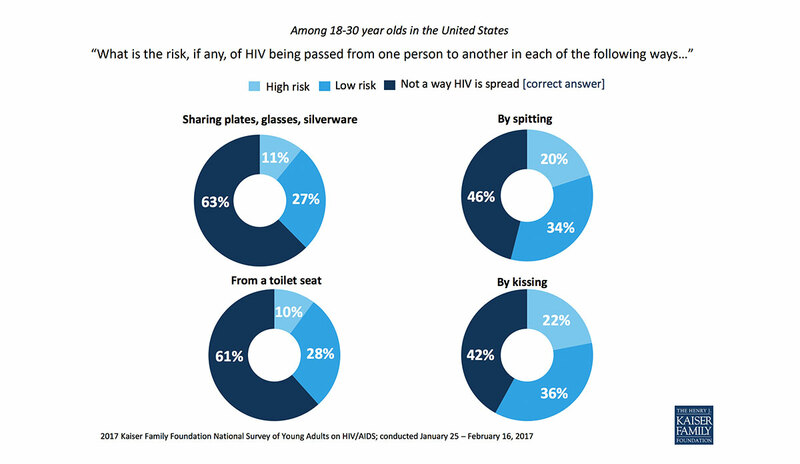 More than one-third of survey respondents believe the virus can be spread through sharing kitchenware (plates, glasses, and silverware) and from a toilet seat. Over half of the survey respondents thought spitting and kissing were ways HIV could be spread. HIV cannot be spread through any of these methods. HEADER IMAGE: judy dean, Hanging on (detail). CC BY 2.0.